Sea Safari 8 is an ideal diving yacht to enjoy the best of everything, and that’s before you jump in the water to enjoy some of the best diving in the world. 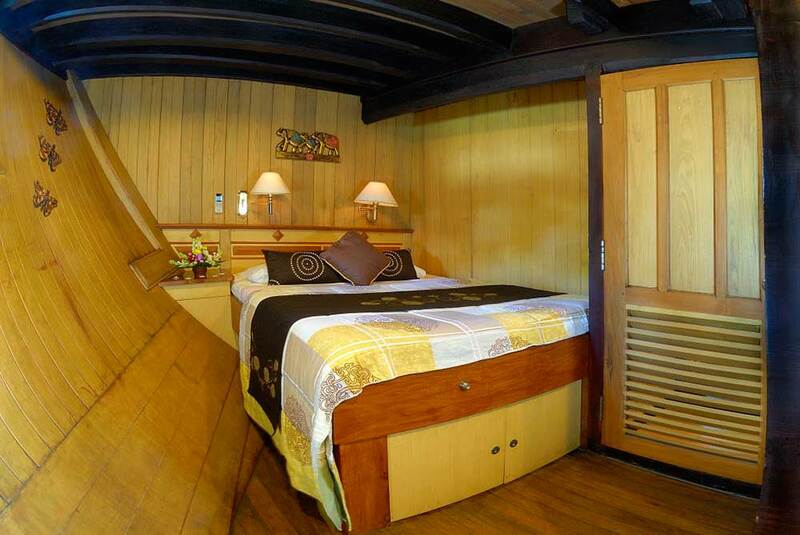 This large boat was purpose built for scuba diving liveaboard cruises, even if it looks like a conversion. 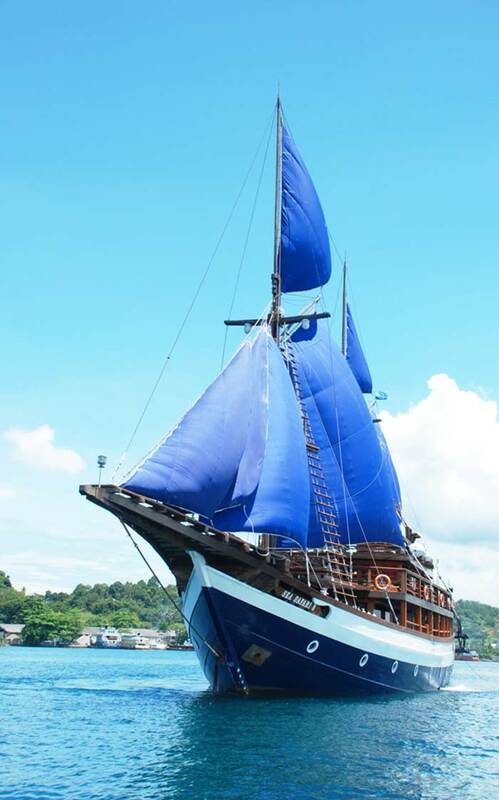 South Sulawesi is the home of Phinisi schooners, and their classic design adds to the feeling of sailing around undiscovered seas and reefs, looking for something special under the water’s surface. 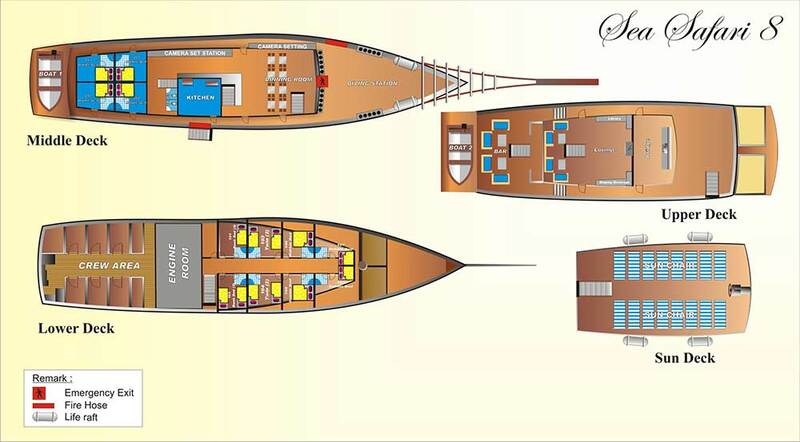 However, built from Ulin ironwood in 2003 and equipped with modern communication, safety, navigation & ‘creature comfort’ facilities, Sea Safari 8 is very much a modern boat that can provide its guests with comfort and safety at all times. 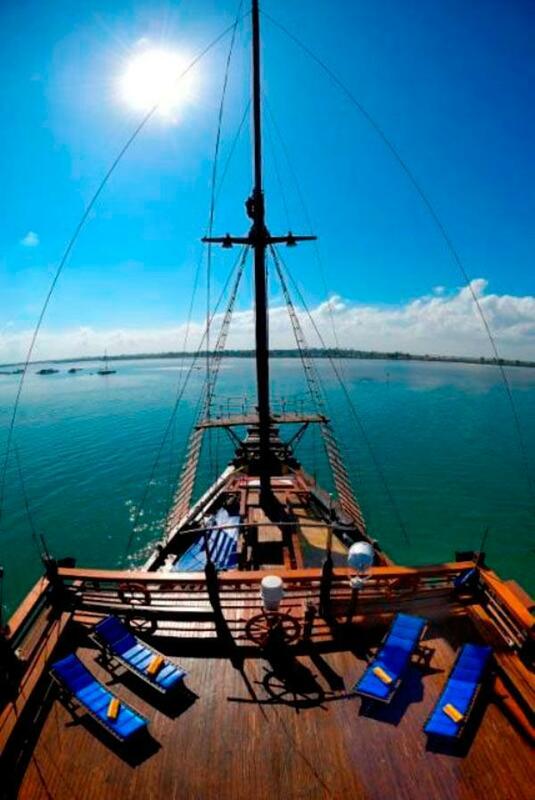 Starting at the top deck, there are plenty of sun loungers (sunbeds) for guests to lie or sit on and enjoy the sea breeze during the day or gaze at a star-filled night sky. 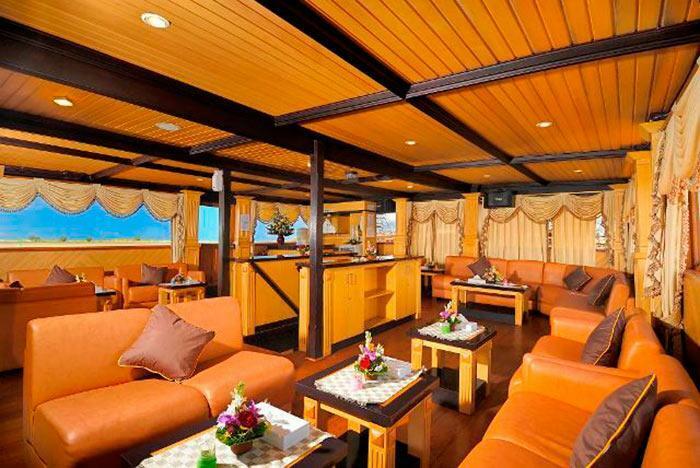 The boat’s upper deck is home to two lounge / bar areas. The huge lounge is air conditioned, and it has a large flat-screen television, a computer, board games, & a library of books for guests to enjoy while sitting on the large & comfortable sofas. Outside on this upper deck is a covered lounge/bar were guests can enjoy comfort and the fresh air at any time of day or night. 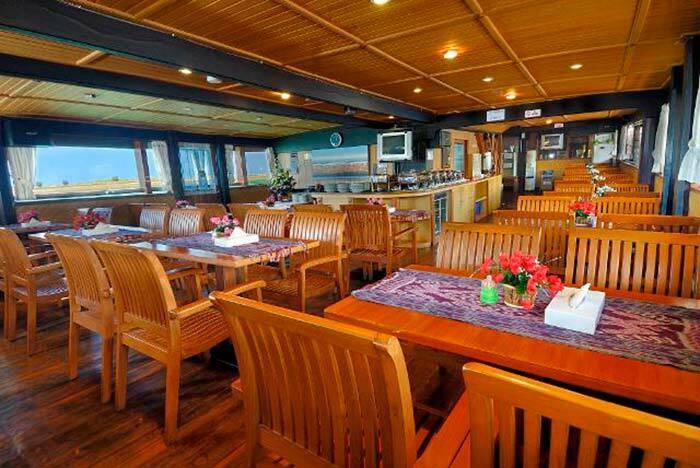 Most of the main deck on Sea Safari 8 is taken up by the huge air-conditioned restaurant, where delicious food is served and enjoyed throughout the days. Inside the restaurant at the back are work benches for charging devices, working on laptops or printing pictures. Although most guests fly out to this part of the world to enjoy the sunshine, they often find themselves spending longer than expected in here, such is its comfort and convenience. 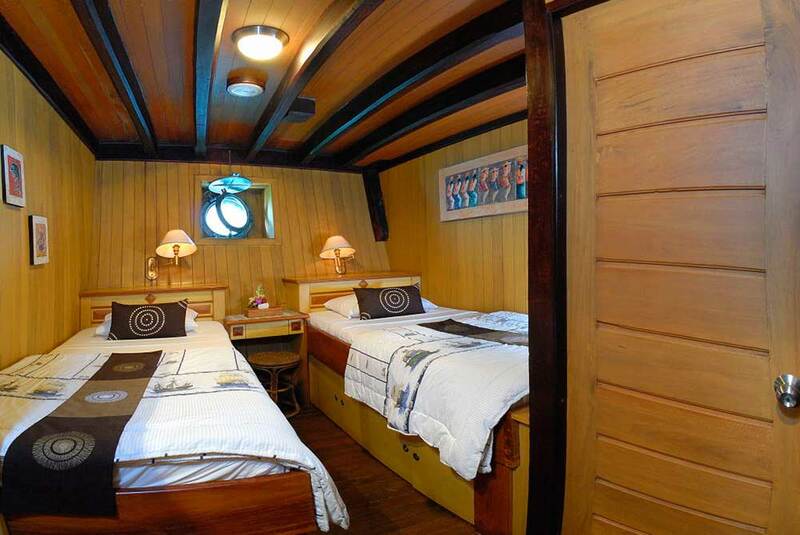 At the back of the main deck are four double-bed cabins. 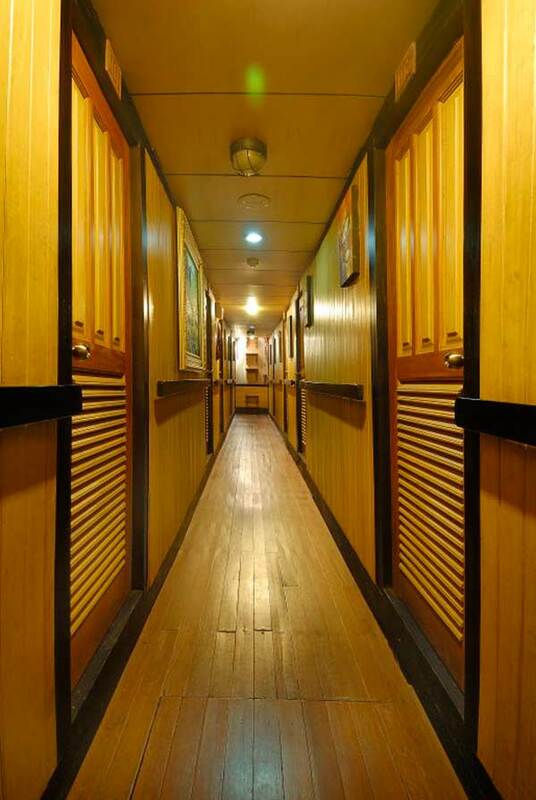 On the lower deck is where all the other cabins are. 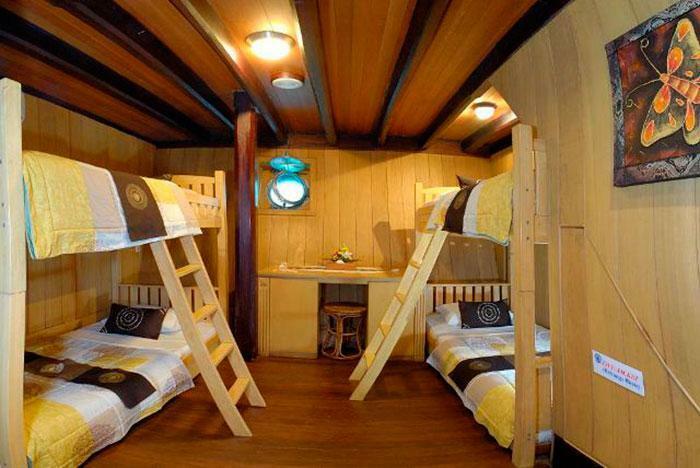 All Sea Safari 8 cabins are en suite, and there is the choice of double bed or twin, side-by-side or bunk. In addition to being ideal for scuba diving cruises, other activities on Sea Safari 8 include kayaking, fishing and visiting remote tropical islands for treks and to see indigenous wildlife. The crew and diving staff are experienced, professional and friendly. The food and service have a great reputation and the quality of diving around Raja Ampat can speak for itself. 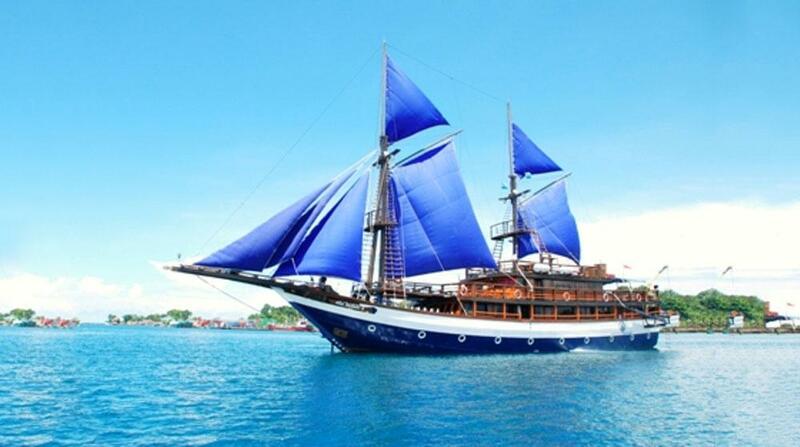 Sea Safari 8 spends all year cruising around Raja Ampat's best dive sites,. The longer (and shorter) trips’ itineraries have the same departure and return details, but more (fewer) full diving days per cruise. Each full diving day has 3-4 dives, depending on the sailing times and sea conditions each day. 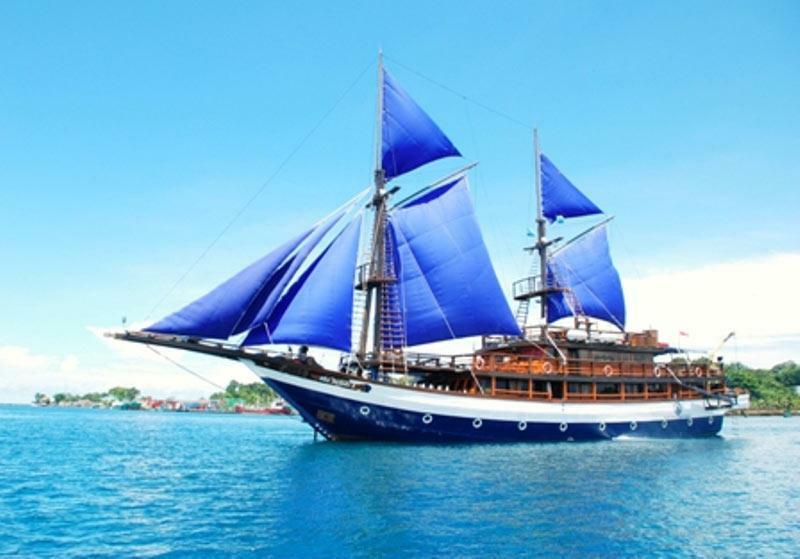 In all cases, Sea Safari 8 departs from Sorong, West Papua in the daytime. On the final diving day there are normally two dives, to allow off-gassing for flights the following day. Guests depart after breakfast on departure day. The number of dives per trip depends on the arrival time of the guests on departure day, plus the sea conditions affecting the boat’s ability to sail to the best dive sites in time. Below we have details of the most-common trips' itineraries. While most guests on Sea Safari 8 are certified divers who just want to enjoy fun diving on the cruises of one week to nearly a fortnight in length, the trips are an excellent opportunity to advance your diving skills, certification and experience (or even learn to dive) while on board. If you are interested in taking part in a dive course aboard Sea Safari 8, please let us know as soon as possible (even if you’re not sure yet) and we can give you the best and most up-to-date information and advice. It’s also best to let us know early, so that the best and most relevant instructor and materials can be arranged. In most cases, Sea Safari 8 guests are collected from the Sorong airport on the day of departure, and transferred to the boat for free. This service also applies to transfers back to hotels or the airport at the end of the cruise. 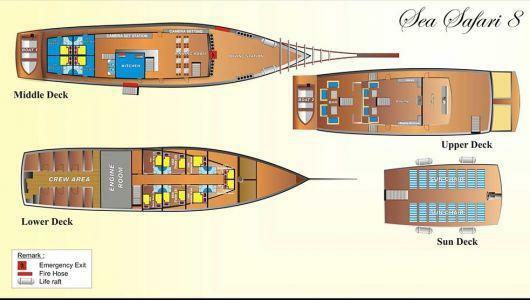 Please do not confirm your flights within Indonesia until you have reserved your place on Sea Safari 8. Published rates include full-board accommodation, snacks, drinking water, tea & coffee, accident insurance, guided diving, standard tanks, weights & weightbelts. Optional and necessary extras include soft & alcoholic drinks*, National park entry & diving fees, laundry, rental dive gear (if required), domestic flights, personal insurance, visas etc.